At Denbury, our corporate responsibility strategy focuses on four areas: Our Company, Our Employees, Our Environment and Our Communities. There are issues in each of these areas that are important to, and impact, Denbury because of the effect they have on our business success and their importance to our stakeholders. These material issues provide the foundation of our corporate responsibility report and are discussed in detail throughout the four sections of this Report. Maximizing shareholder value through sound corporate strategies, fostering our core values and integrating good corporate governance standards and practices are the most material issues for our business and our stakeholders when considering the sustainability of our business. This Report has been prepared in accordance with the Global Reporting Initiative’s (“GRI”) G4 Sustainability Reporting Guidelines. 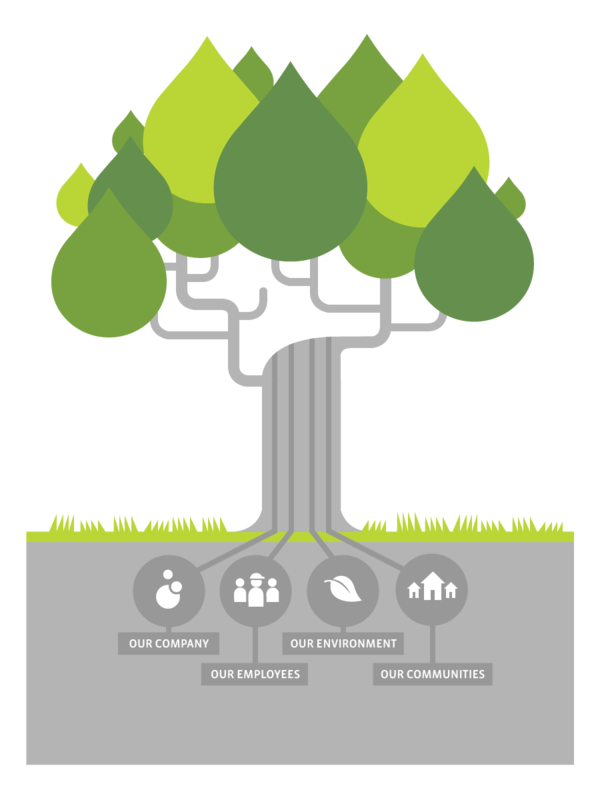 At Denbury, our corporate responsibility strategy focuses on four areas: Our Company, Our Employees, Our Environment and Our Communities. There are issues in each of these areas that are important to, and impact, Denbury because of the affect they have on our business success and their importance to our stakeholders. These material issues provide the foundation of our corporate responsibility report and are discussed in detail throughout the four sections of this Report. The sustainability of our business is critical to our shareholders, employees and communities—they depend on, and benefit from, our continued successful operations. We recognize that, in order to run a sustainable company, we must have successful, ethical and responsible operations. Maximizing shareholder value through sound corporate strategies, fostering our core values and integrating good corporate governance standards and practices are the most material issues for our business and our stakeholders when considering the sustainability of our business. Our employees are our greatest resource, and each individual helps shape Denbury into a unique and exceptional place to work. We recognize that our employees are crucial to Denbury’s future, and we care about our employees and their families’ well-being beyond the work environment. Safety, training and development, well-being and engagement and fostering a diverse work culture are the most material issues for our business and our stakeholders when considering our employees. We and our stakeholders care about the environmental impact of our operations. We recognize that providing and integrating sound environmental policies, procedures and practices into our broader health, safety and environmental programs are key to our success as a company. We strive to be environmentally responsible in all aspects of our operations. Avoiding spills and releases, managing our environmental and carbon footprints, and focusing on sound environmental policies, procedures and practices are the most material issues for our business and our stakeholders when considering our environment. We are honored and privileged to be a part of the communities in which we operate. Rather than merely being a dependable and ethical business presence in our communities, we feel obligated to find ways to give, volunteer and invest in community campaigns and philanthropic organizations that stimulate local economies. Additionally, we believe that community engagement through open dialogue and communication is an essential part of being a responsible corporate citizen. Local economic investments, charitable giving and community engagement are the most material issues for our business and our stakeholders when considering our communities. This is our 2015 Corporate Responsibility Report (“Report”) and, unless otherwise noted, covers our operations during the 2013 and 2014 calendar years. Following our last report, published in 2014 and covering our 2012 and 2013 performance, we received feedback and input from both internal and external stakeholders regarding our report and our sustainability initiatives which aided in our development of this Report. As a reflection of our commitment to economic, environmental and social issues, and in an effort to enhance our disclosure to our stakeholders, we currently intend to release an updated report at least biannually. This is our second report to be prepared in accordance with the Global Reporting Initiative’s (“GRI”) Sustainability Reporting Guidelines, a voluntary, internationally recognized framework for sustainability reporting that focuses on economic, environmental and social issues and efforts and enables all companies and organizations to measure, understand and communicate this information. GRI is a non-profit organization that promotes the use of sustainability reporting as a way for organizations to become more sustainable and contribute to sustainable development. We have continued to utilize GRI’s updated G4 Guidelines, including the Oil and Gas Sector Disclosures, and have developed this Report in accordance with the G4 “Core” reporting option. However, we have included disclosures beyond the “Core” reporting requirements to increase our disclosures to our stakeholders. For example, we have addressed many of the G4 General Standard Disclosure items related to corporate governance, which are only required under the “Comprehensive” reporting option. Denbury Resources Inc. and its subsidiaries operate as “Denbury.” Throughout this Report, unless otherwise noted, “Denbury,” “Company,” “we,” “our” and “us” refer to Denbury Resources Inc. and its subsidiaries. We prepared this Report in accordance with the reporting principles suggested in the GRI’s G4 Guidelines. The principles guided us both in defining the content of this Report and in defining the quality of this Report. Completeness—In preparing this Report, we included issues and disclosures broad enough to reflect the significant economic, environmental and social impacts of our Company, both inside and outside of our organization, and to enable our stakeholders to assess our performance. Reliability—We have gathered, recorded, compiled, analyzed and disclosed information in a way that establishes the quality and materiality of the information in this Report. This Report focuses on those sustainability issues and activities which are most material to Denbury as a company and to our stakeholders. We performed a materiality analysis to determine which issues are most material. Input was solicited and received from our key stakeholders, including a survey open to all of our employees, interviews with investors and feedback from senior management and our Board of Directors. The data and comments received during the materiality analysis were then used to create lists of the most material issues where Denbury has a significant sustainability impact based on both the impact the issues have on our business success and the importance of those issues to our stakeholders. This Report includes the issues which are most important to our business success and which are most important to our stakeholders. For example, our employees indicated that safety of our employees and contractors is one of the most material aspects of our business. We heard from various investors interested in learning about our carbon emissions. All of our stakeholders believed that avoiding spills and releases, and limiting the impact of any that do occur, is a material issue. Those material issues are the foundation of this Report. Using the G4 Guidelines as our guide, we determined the G4 Aspects that aligned with our material issues. This Report includes discussion, disclosures and analysis of our material sustainability issues and, to the extent those material issues dovetail with G4 Aspects, we have responded to the appropriate G4 General Standard Disclosures or Specific Standard Disclosures. Our GRI Index includes a list of all of our G4 disclosures and indicates the location in this Report where information about each disclosure can be found. We believe Denbury must seek to continuously improve in all areas of operations, implement the high standards of environmental protection and ethical conduct, and work proactively to be a good corporate citizen by aligning our interests as a company with the interests of our stakeholders. Our Board of Directors and management teams, both local and at our headquarters in Plano, Texas, want to hear from you so we can address any concerns and continuously improve in the areas important to us and our stakeholders. Please reach out to the appropriate contact if you have a concern about our operations, an idea on how we can improve, or anything you want to bring to our attention. Additionally, we would like to hear your thoughts on this Report. As we prepare future reports, we will consider input from a wide range of stakeholders—employees, investors, neighbors, contractors and industry experts—with respect to their expectations for our sustainability reporting and performance. Below are a few contacts but more can be found at Denbury.com. Board of Directors of Denbury Resources Inc. This Report contains, and references other documents (e.g., our Annual Report on Form 10-K) that contain, forward-looking statements that reflect Denbury Resources Inc.’s views about future events as of the date of this Report or the date of the referenced document. Such forward-looking information is based upon management’s current plans, expectations, estimates and assumptions and is subject to a number of risks and uncertainties that could significantly affect current plans, anticipated actions, the timing of such actions and our financial condition and results of operations. As a consequence, actual results may differ materially from expectations, estimates or assumptions expressed in or implied by any forward-looking statements made by us or on our behalf. We do not assume any obligation to update forward-looking statements should circumstances or management’s estimates or opinions change. Investors are urged to consider closely the disclosure and risk factors in our most recent Annual Report on Form 10-K and in other reports on file with the Securities and Exchange Commission, available at Denbury’s website, www.denbury.com. I’m immensely proud to introduce Denbury’s 2015 Corporate Responsibility Report, which focuses on our 2013 and 2014 performance. Although our industry has undergone tremendous change over the past year, we have continued to focus on the four pillars of our sustainability strategy: Our Company, Our Employees, Our Environment and Our Communities. Concentrating on our performance in these areas will position our company to emerge from this difficult economic period stronger and better prepared for sustained success in the future. This Report illustrates our commitment to transparency with our stakeholders regarding our economic, environmental and social performance. For the second consecutive year, we have prepared our corporate responsibility report in accordance with the latest guidelines of the Global Reporting Initiative (“GRI”), a leading and respected organization in the sustainability reporting field. We remain among the leaders in our industry, as one of the few companies to prepare a corporate responsibility report in accordance with GRI’s G4 Sustainability Reporting Guidelines. We received encouraging feedback to our 2014 Corporate Responsibility Report and build upon that foundation with this Report. The G4 Guidelines are in alignment with our corporate responsibility strategy since they focus on the issues and aspects of our business that are most material for our company and our stakeholders. We analyzed our sustainability performance in order to better understand the impacts of our projects and operations, and to determine risks and opportunities and their effects on our external stakeholders. This Report contains details about our sustainability values, objectives and performance, and demonstrates our desire to engage with our stakeholders over these issues. As a national leader in carbon dioxide enhanced oil recovery (“CO2 EOR”), Denbury has a responsibility to maintain the highest standards of accountability and performance. We believe that operating a sustainable company is an essential part of being a responsible corporate citizen. Denbury is committed to sustainable business practices, and we continually strive to improve in all areas of our business. During this period of oil price uncertainty, we have leveraged the talents of our highly technical, dedicated and motivated employees and examined every aspect of our operations. Our personnel have sought to identify ways in which we can improve our operating efficiency and reduce costs, making our business more sustainable. In all that we do, we strive to exemplify Denbury’s core values of integrity, teamwork, respect, excellence and innovation.Our desire to have a positive impact in everything we do is what drives our company and our team of committed professionals every day. This commitment starts with our Board of Directors and management who champion sustainability and believe that it is fundamental to our corporate citizenship. This commitment also provides the foundation for us to concentrate on the growth of our people, our greatest resource, on compliance with rigorous health, safety and environmental standards and protocols we employ to protect our workforce, the environment and the vibrant communities in which we work, and on the economic health and growth of our company. The future of energy production is constantly evolving. We have been focusing on using CO2 more efficiently in our operations, and have increased the sustainability of our CO2 EOR strategy by continuing to focus on growing and expanding our utilization of CO2 captured from industrial sources. Utilizing industrial-sourced CO2 for the purpose of producing stranded oil reserves from mature oilfields provides an economic incentive to capture these produced CO2 streams and prevents the release of these streams into the atmosphere. It also allows us to decrease the amount of naturally-occurring CO2 used in our operations. This Report focuses not only on our company, but also on how we positively impact the areas we care about most: our people, our environment and the communities we call home. We understand that our company’s long-term success demands strong performance in these areas. We have built a valuable team of dedicated employees that possess the skills and expertise enabling us to pursue our unique strategy. Our employees are the engine that drives our company, and our results are directly attributable to their extraordinary efforts. We are committed to supporting our employees, and their safety, training, professional development and overall well-being, which is a key part of the sustainability of our company. I’m privileged to get to work with this exceptional group each and every day. Environmental stewardship is not just a part of our strategic vision; it is the right thing to do for our employees, their families and our communities. Denbury is not your typical oil company. We operate decades-old, legacy oilfields and bring them back to life. While doing so, we strive to leave the fields better than we found them, all while minimizing the impact we have on the surrounding environment and communities. Finally, Denbury is an integral part of the communities in which we operate. We believe that by operating responsibly, both our company and our communities can mutually benefit. By overhauling fields that have been depleted by prior operators, we bring jobs and economic stimulation back to these local economies. We believe that being a good neighbor is a vital part of our business, and we take every opportunity to engage with, and seek to positively impact,our communities. 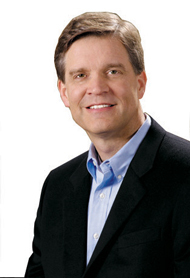 I believe that Denbury truly is a unique company that is committed not only to the bottom line but to Doing Right. This Report should give you insight into our company and the values and principles that guide the way we do business. While we continue to seek to improve our economic, environmental and social performance, we also want to improve our reporting and transparency in these areas. Therefore, I invite you to engage with us and offer us comments and feedback regarding this Report and our performance. We believe that by reviewing and analyzing our past performance and striving for continual improvement, we can meet the expectations of all our stakeholders. As you will see, we undertake this challenge with enthusiasm, because it is the nature of our business.